Controversy! 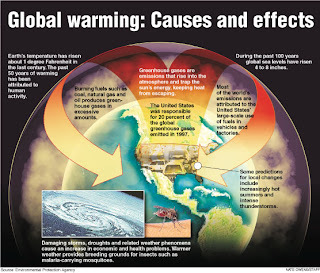 : Global warming - keep the State out! Global warming - keep the State out! There is now widespread popular concern about the ‘quality of life’ and the environment. Both are said to be deteriorating and, it is claimed, this can be stopped only by the state preventing destructive private actions which have no regard for the consequences for people. We need, it is said, planning to protect the world. This is in many cases the opposite of the truth. It is state action that is the destroyer, private the preserver. Two examples are useful. Consider the rail link to the Channel Tunnel. Even in its revised form this will be destructive – of how people want to live or visit. That is not a private action. It is the result of the state giving a body – British Rail – the right to dispossess people of something at a price below that which would induce them to move voluntarily. Town planning is another example. Buildings can be put up when permission is given – regardless of the wishes of those who live nearby – at the whim of a civil servant or the vote-catching urge of a politician. Both these problems arise because politicians either take away property rights or refuse to acknowledge their existence. If people have rights in property – if they own it – they will preserve it. Consider the above two examples. If people had to be paid to leave their homes or tolerate a train near their garden, the costs to society of building the rail link would be taken into account. If owners of houses were entitled to compensation for a hideous new building increasing congestion around them, again the cost of the building would be taken into full account. This would produce efficient resource allocation; costs would be taken fully into account. And it would also produce the desired amount of preservation. Not, no doubt, everyone’s desired amount – too much for some, too little for others. But it would produce what people were willing to pay for. Acknowledging property rights in the environment would thus serve two purposes. More efficient resource allocation would take place. And the present debate about preserving the environment would be clarified. At the moment people call for preservation unthinkingly because the costs do not fall on them. If the cost of resisting a development was not being paid a large sum in compensation, then the objectors would think. As it is, they might as well resist. Acknowledging property rights in the environment would preserve what people want. Not acknowledging these rights, having state planning, leaves the present and future environment up to the accidents of election timing and chance. Inspect away Congestion! The city should toughen inspections for medical, psychiatric and vehicle reasons to cut down the number of congestion. This way, we will also get the voters against congestion pricing, who live in Bayside and Staten Island, to move away. Free health care means psychiatric care for all those angry talk radio white males! WITH REFERENCE TO DATA, EXPLAIN HOW AND WHY ECONOMISTS MAKE FORECASTS OF TRANSPORT DEMAND. Prostitutes, rice and Giffen goods. Government should not regulate the banks! We should NOT be more competitive!